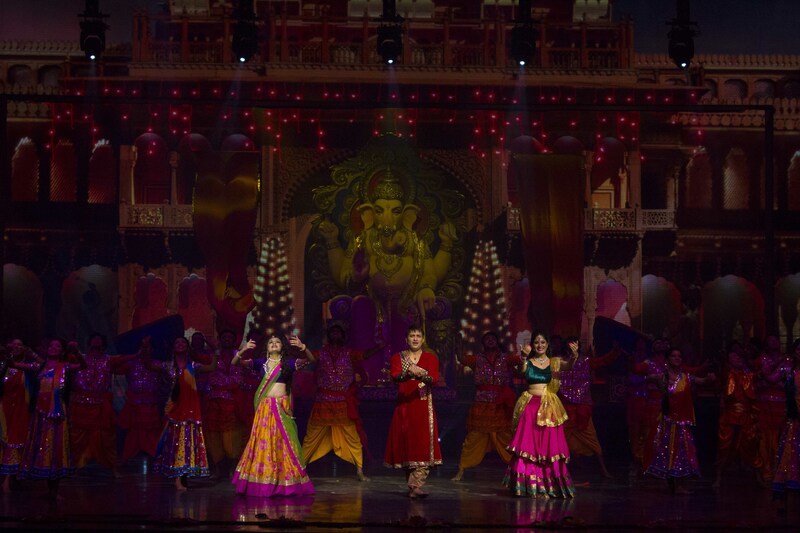 Kingdom of Dreams, an incredible Indian experience of culture & tradition at Gurgaon is now all set to showcase the panorama of the biggest dance spectacle on stage with it’s third Broadway style musical on stage, ABHIMANYU, The Fastest Feet. Abhimanyu is set amidst the colourful panorama of the royal state of Rajasthan, with its thriving lore and traditions, which sweeps us into the world of its protagonist Abhimanyu, skilled in the classical Indian dance form of Kathak. The culture, heritage, religions, dances and the various festivals are all amalgamated & brought together by Sandeep Mahavir, the lead character of Abhimanyu who is also the producer & director of the show. The show depicts the journey of the village boy Abhimanyu who taught dance in Gurukul, his dreams, ambitions, passion for dance, his tradition and his love for his land. The captivating journey of Abhimanyu is brought alive by 12 songs sung by Shankar Mahadevan, Daler Mehndi, Udit Narayan, Javed Ali, Anvesha & Dinesh Mahavir. With his dream & desire to take his dance to every corner of the world & make a big name for himself, the native boy is discovered by USA based Broadway dancer & taken to USA for making his talent recognised by people. He gets lost in the glitz & glamour of the showbiz & comes to life intoxicated in the international world. After his heart shatters & all his hopes die, he comes back to India & participates in a talent show where he breaks all barriers & wins pride with a Ram-Ravan mythology (victory of good over evil) being depicted on stage. The songs were all great with folk, tradition & culture reflecting rural & western contrast. The show is an extravagant & amazing work of art & glory and there are brilliant performances by the team especially by Abhimanyu in the end when he does a bhakti dance to prove himself with the perfect mudras & fastest speed. All the artists were full of life, zeal & energy that added more colour & grandeur to the show. In the end, Sandeep got emotional while speaking at the event & mentioned that he is very happy as his journey has been tough & he has thoroughly enjoyed working in the musical journey so far and thanked everybody who had been part of this tough journey. He further added that Abhimanyu has been a labour of love for him and he would want to see his show captivating hearts of the people & mesmerise them. 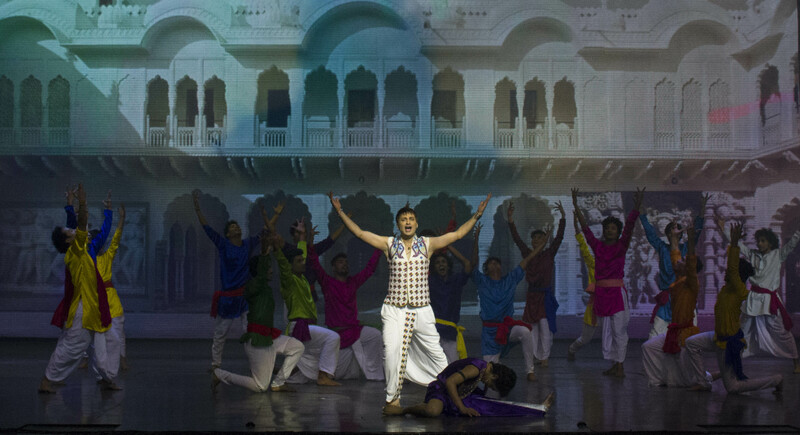 Thus, the show at Kingdom of Dreams scaled another pinnacle with this International Broadway style musical, Abhimanyu, The Fastest Feet, produced by AMS Event. A spectacular dance spectacle on stage with original & melodious music from India’s top artists! Abhimanyu, the fastest feet dancer will definitely be a successful endeavour & win hearts of millions for sure. Tickets to the show are available on www.kingdomofdreams.in and Bookmyshow. I’m glad that they started a theatre like this in India, I wish it beats Siam Niramit one day.